The SQL Server Maintenance Solution comprises scripts for running backups, integrity checks, and index and statistics maintenance on all editions of Microsoft SQL Server 2005, SQL Server 2008, SQL Server 2008 R2, SQL Server 2012, SQL Server 2014, SQL Server 2016, and SQL Server 2017. The solution is based on stored procedures. The solution has been designed for the most mission-critical environments, and it is used in many organizations around the world. 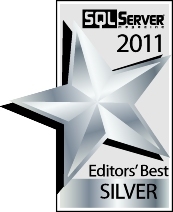 The SQL Server Maintenance Solution has been voted as Best Free Tool in the 2013, 2012, 2011, and 2010 SQL Server Magazine Awards, and a top session at PASS Summit 2014. The SQL Server Maintenance Solution is free. Moving the SQL Server Maintenance Solution to its own schema? I am thinking about moving the SQL Server Maintenance Solution to its own schema. The background for this, is that I am planning to introduce some new objects, and as the maintenance solution does not have its own database or schema, there is a risk that there could be naming conflicts. I could create synonyms in the [dbo] schema, so that you don't need to change any jobs. Please let me know what you think. You can create a comment on GitHub, or send me an email. Download MaintenanceSolution.sql. This script creates all the objects and jobs that you need. The SQL Server Maintenance Solution is available on GitHub. Sign up for the newsletter to be alerted about updates to the solution. The stored procedure will check sys.dm_db_incremental_stats_properties for each partition. Microsoft has introduced support in DMVs for checking how much of a database that has been modified since the last (non copy-only) full backup, and how much transaction log that has been generated since the last log backup. I am now utilizing this in DatabaseBackup, to perform smart differential and transaction log backups. Here's how it can be used to perform a differential backup if less than 50% of the database has been modified, and a full backup if 50% or more of the database has been modified. Here's how it can be used to perform a transaction log backup if 1 GB of log has been generated since the last log backup, or if it has not been backed up for 300 seconds. This enables you to do more frequent log backups of databases with high activity, and in periods of high activity. The SQLCAT - team has a blog post about how you can optimize performance when backing up to Azure Blob Storage. You can stripe the backups to multiple files, and use the options MAXTRANSFERSIZE, and BLOCKSIZE. Now what if you want to select all user databases that are not in availability groups? For this scenario I have added a new keyword in the @Databases parameter. It works the same way in DatabaseBackup, DatabaseIntegrityCheck, and IndexOptimize. The IndexOptimize procedure can also be used to update statistics. You can choose to update all statistics, statistics on indexes only, or statistics on columns only. You can also choose to update the statistics only if any rows have been modified since the most recent statistics update. Most DBAs have experienced the error message “BACKUP LOG cannot be performed because there is no current database backup” or “Cannot perform a differential backup for database, because a current database backup does not exist”. These errors usually occur when you have created a new database or changed the database recovery model from Simple to Full. The answer is to determine, before you run the backup, whether a differential or transaction log backup can be performed. You can use the DatabaseBackup procedure’s @ChangeBackupType option to change the backup type dynamically if a differential or transaction log backup cannot be performed. I had a session about the SQL Server Maintenance Solution on PASS Summit in November 2014 (PDF version and demo scripts). SQL PASS had a session about the SQL Server Maintenance Solution during the 24 Hours of PASS 2010 online conference. 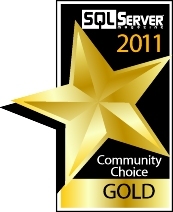 SimpleTalk featured an article about the SQL Server Maintenance Solution in July 2010. SQL Server Magazine featured an article about the SQL Server Maintenance Solution in its November 2008 issue (PDF version). Feel free to contact me if you have any questions. Thank you for trying out the solution.